I can’t possibly be the only person on the planet with some carpet areas in their house. Am I? You have no idea how badly I want to get rid of the carpet. I would love to have hardwood floors throughout our house. Right now we have “fake” hardwood in the kitchen and dining area. One of the reasons I want to get rid of the carpet is because I think it is gross and it holds nasty smells, in my opinion. 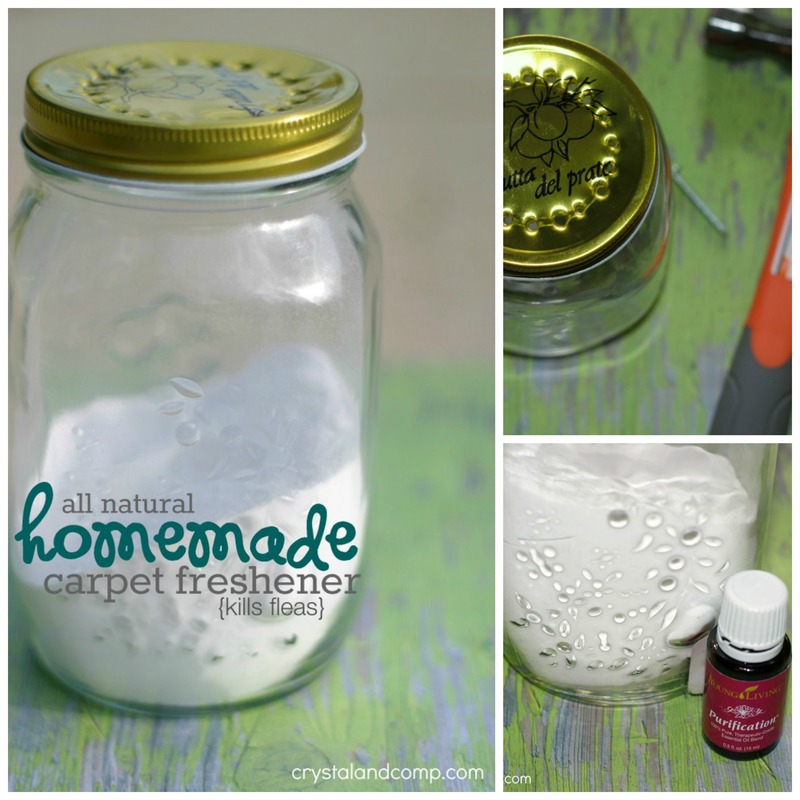 I am going to show you an easy (and safe way) to freshen any room and your carpet. A cool bonus- this will kill fleas! We don’t have fleas (that I am aware of) but we do have a dog so this is a great precaution. Assemble the jar with the lid on it. 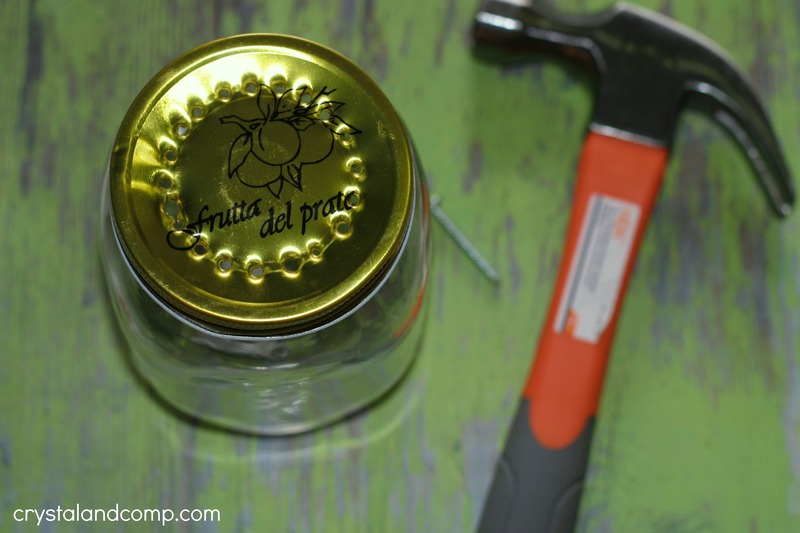 Use the hammer and screw to tap a circle of holes into the lid as illustrated below. 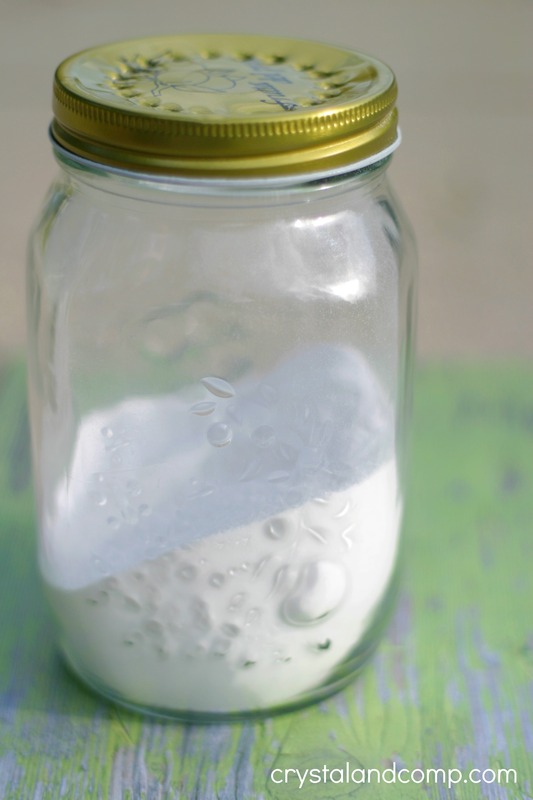 Add the food grade diatomaceous earth and the baking soda to the jar. Grab your essential oil. You could use peppermint, lavender or any scent you want. 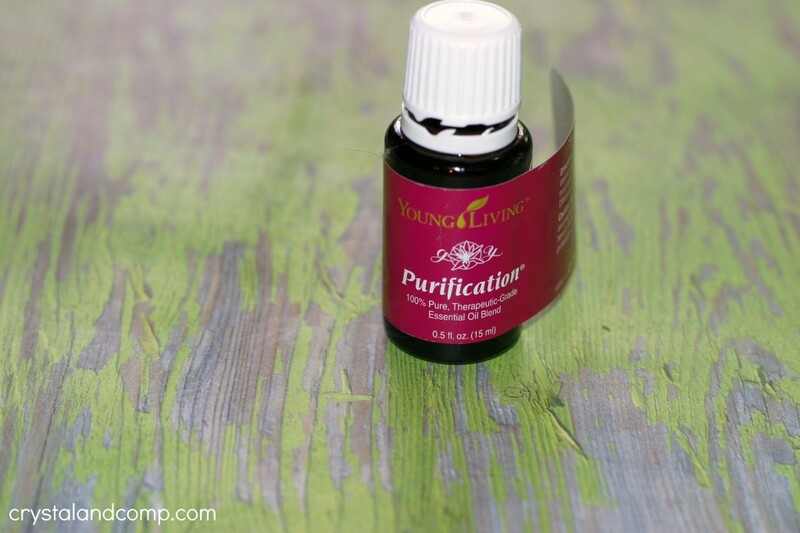 I chose Purification because of it’s purifying properties. I buy essential oil online. I only use therapeutic grade because there are no synthetics or perfumes added. 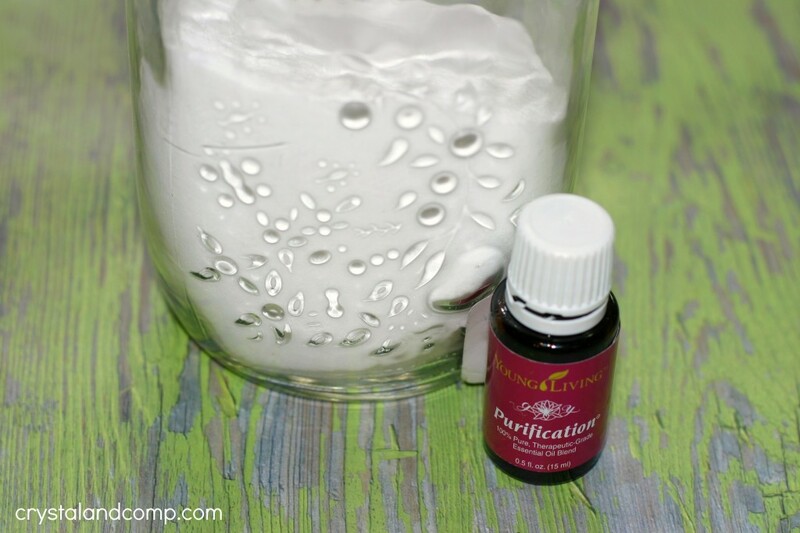 Add 10 drops of the oil and use a spoon to stir it up. Pop the lid back on the jar and shake the freshener onto your carpet. It all vacuums right up. And, that diatomaceous earth (or borax) will kill any fleas in your carpet! Make meal time easy while you’re on your camping trip. 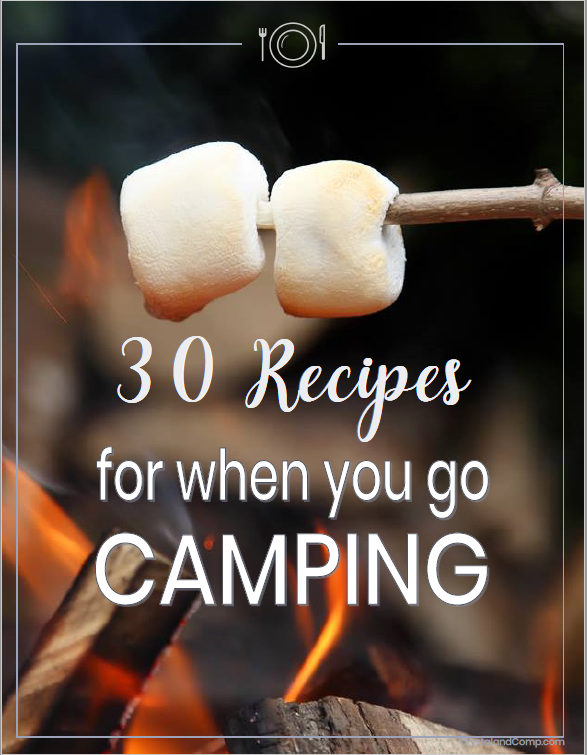 Check out our instant download with 30 camping recipes that are perfect for your trip. These include breakfast, main meals (dinner/lunch) and desserts! We are on an ice cream kick here at our house. Can you blame us? It is summer in Texas! We’ve made homemade popsicles, a delicious raspberry sauce and a baked peach and honey ice cream treat. 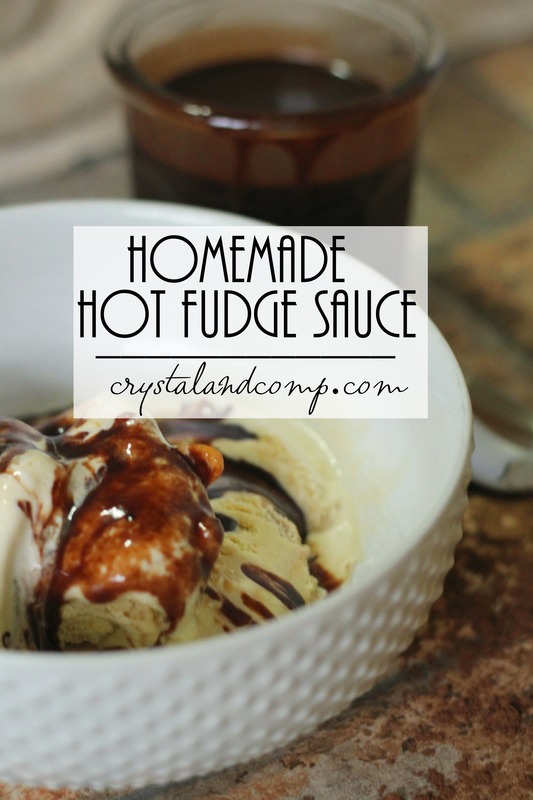 Today, I want to show you how to make homemade hot fudge sauce in four minutes! 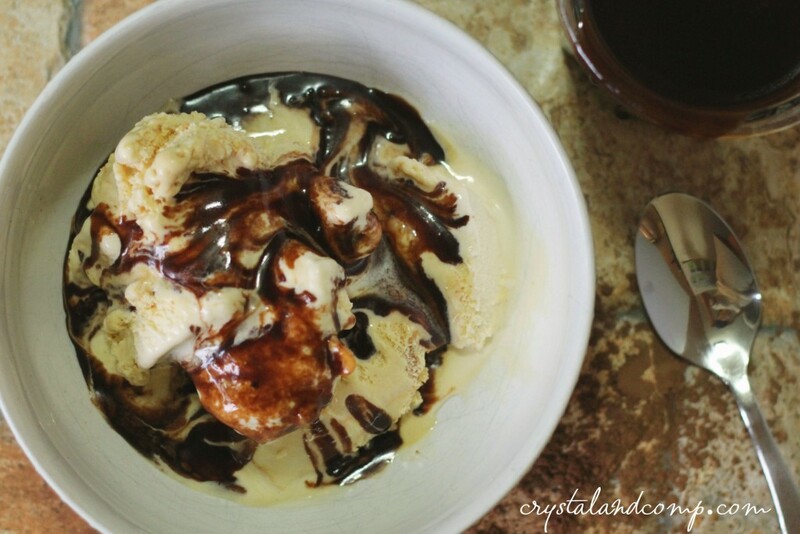 Easy dessert recipes like this are welcome at my house any day! Last week we had dinner at church multiple nights. There was a week long children’s event and every bakes a dish and we have a potluck on nights like this. I absolutely adore dinner nights at church. I do. There is just something so beautiful about it! My kids, our church family and food. Makes my heart sing. 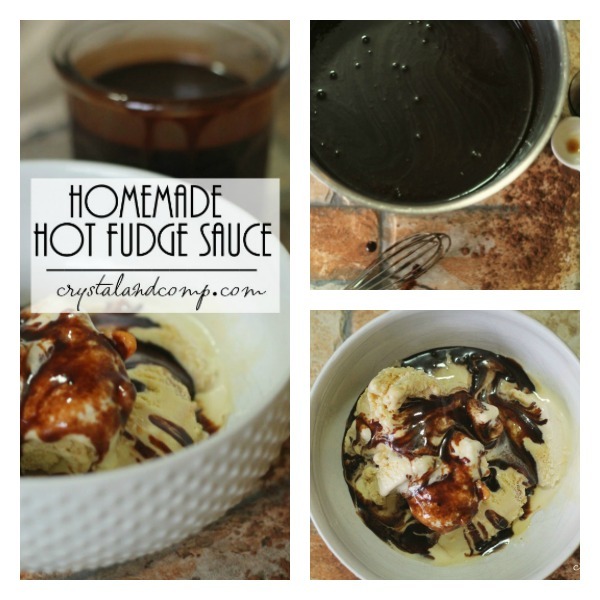 Last week one of the lady’s made an amazing homemade hot fudge sauce. Of course I asked for the recipe and then came home and made it! Over low heat in a sauce pan melt the butter. 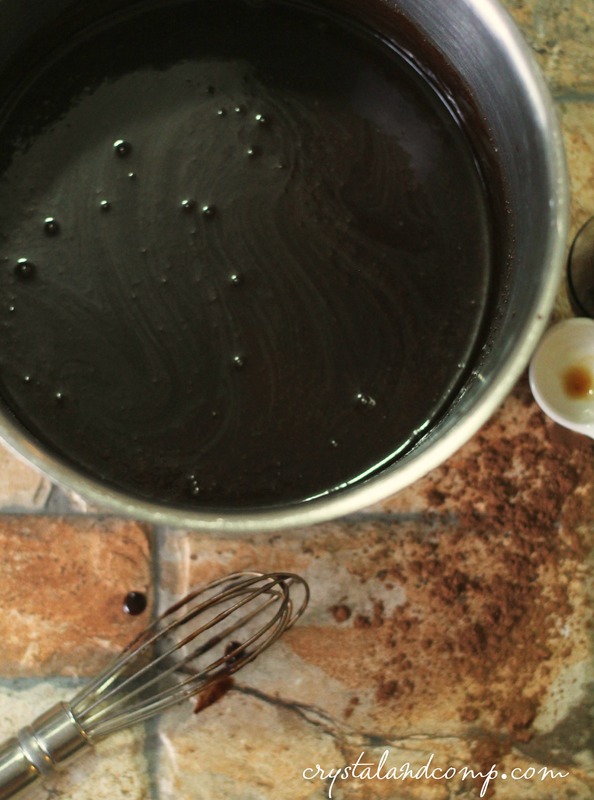 Add the dry ingredients and start to whisk. Move to medium heat whisking until well combine. Bring to a boil for 4 minutes stirring often. 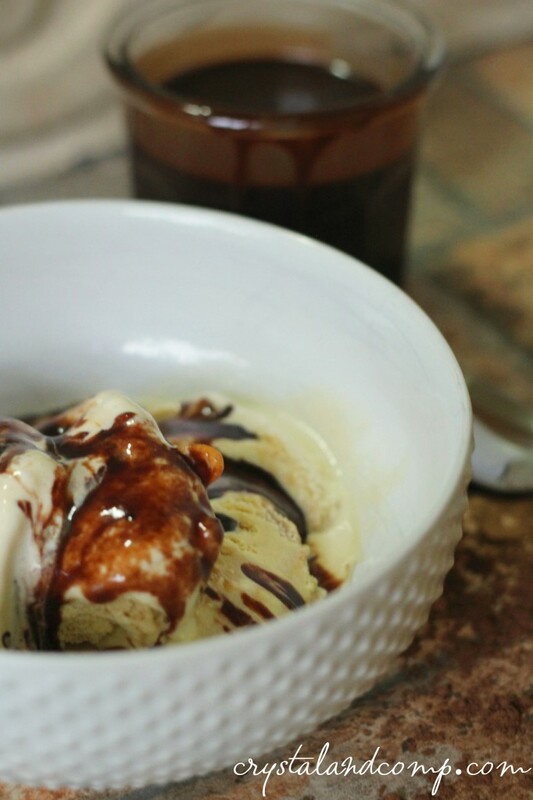 Remove from heat and serve over your favorite ice cream. This makes 1 and a half cups of sauce. 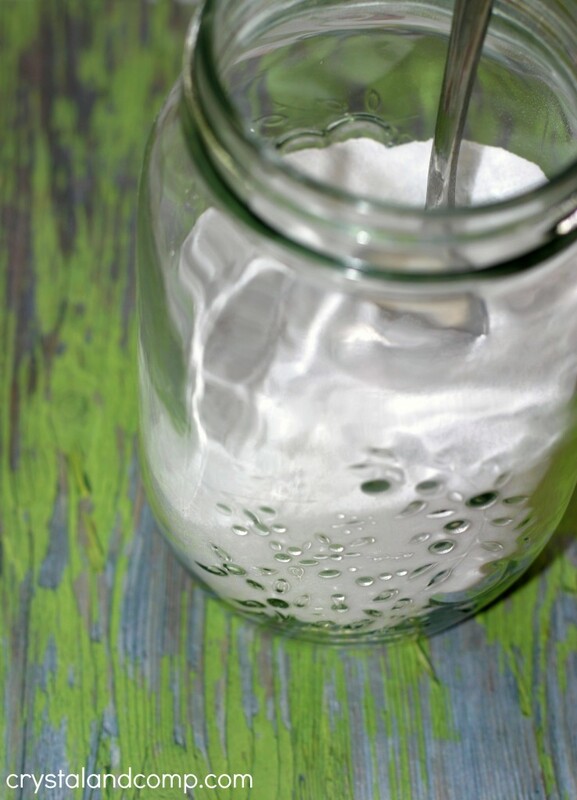 Pop a lid on what is left and store it in the fridge for 5-10 days. 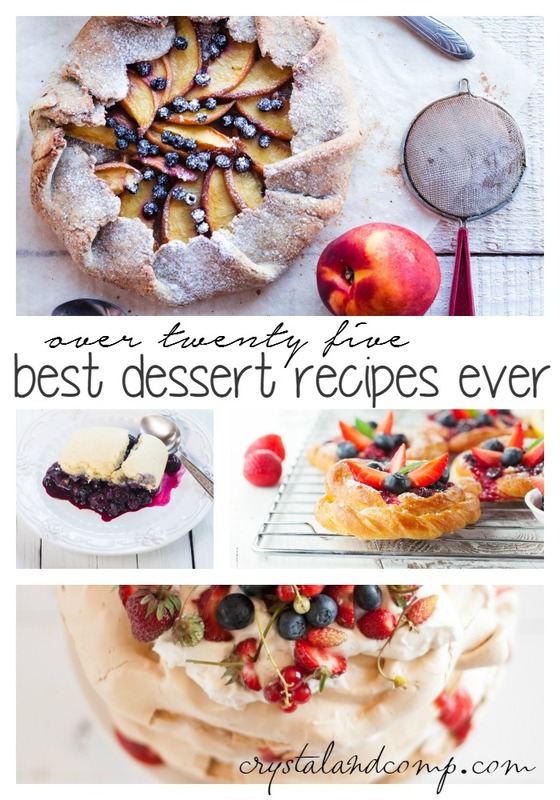 Looking for more easy dessert recipes?